Each year the average American spends 608 hours driving a car — almost 26 full days of getting from point A to point B. That's equivalent to watching every episode of Breaking Bad ten times (don't put it past me). As a driver, it's your duty to own this potential, and lots of car companies are already willing to help you do it. One example is Volvo's Sensus Connect. To help drivers better spend their time behind the wheel, Sensus packages features like Wi-Fi connectivity, customized dashboard displays, and an intuitive driver's journal that logs data like mileage and fuel usage, which it can then export (future-y!). But even if your car is lacking in the bells-and-whistles department, you can still maximize the time you spend in it. Here are some ways to stop thumb-twiddling behind the wheel. The daily commute averages 25 minutes each way. That's over four hours a week to play with. As we all know, rush hour can inspire the rage of a thousand warriors, so this time is best spent getting zen. The Buddhify 2 app was designed to keep you calm and mindful as you inch forward every three minutes. If meditation isn't your thing, you might want to try audiobooks. What's a better way to spend your morning than listening to Samuel L. Jackson read the Bible? (Or listening to pretty much any audiobook, the first download from Audible is free.) If you're in a more talkative mood, use your commute to set up a to-do list for the day. Use Cogi for Android or Audio Memos for iPhone to record to-dos, inspirations, or perhaps the plot of the next Great American Novel. Let's be honest: weekend getaways are mostly about the destination, not about creeping toward serenity in rush hour traffic. You're probably looking at a couple of hours at a near-standstill, so maybe spend that time becoming a better citizen of the world by learning a new language? Babel and Duolingo are fun and addictive, and both offer interactive ways to learn a variety of languages. If you get out of town often, you might actually be able to hold a conversation in a new tongue within the first three months. If the journey interests you as much as the destination, Sensus has an awesome feature called WikiLocations. It connects to your GPS, then scans Wikipedia to tell you about places of interest on your route. It's the relevant version of clicking Wikipedia's random button, and it is awesome. If you're rolling solo, go full-karaoke by using your smartphone (or Sensus) to play Pandora, Rdio, or any compatible music app you desire. You can also set up Instapaper to read your favorite websites to you, allowing you to catch up on news, weather, and stocks rather than subjecting yourself to the local radio fuzz. Riding with a friend? Impress them and avoid wasting your time at shoddy diners by eating at a Food Network-worthy restaurant. Download TVFoodMaps, an app that shows you which TV-acclaimed restaurants are in your path. Sure, making your own discoveries has a charm of its own, but spending $15 on undercooked chicken doesn't. Being productive in your car doesn't have to be the road less traveled. 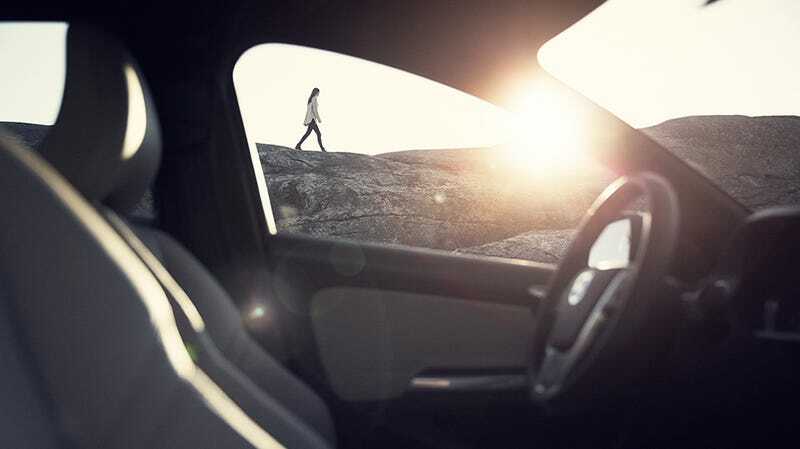 Volvo's Sensus ensures these groundbreaking conveniences are just a voice command away. Learn more here. Updated: This post originally stated that the average driver spends 1,533 hours behind the wheel and has been corrected for accuracy. Jonathan has lived in NYC for 13 years and counting, experiencing and documenting the intricacies of this great city. These days Jonny can be found at the local coffee spot in Brooklyn, writing for a number of publications, or adventuring with his wife and their dog, Max. This post is a sponsored collaboration between Volvo and Studio@Gawker.